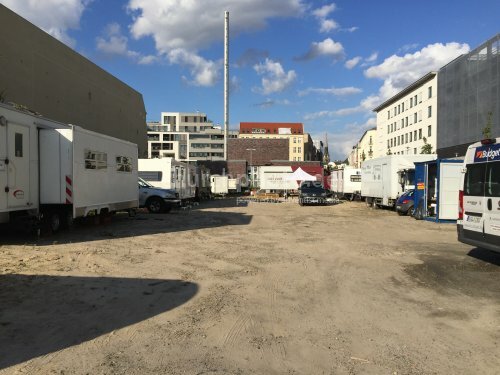 Description: Fuhrpark einer Kinofilm-Base. Mit Maskenmobielen, Aufenthalte für Schauspieler, Kostüm-LKW, Catering. Fleet of a movie base. With mask truck, stays for actors, costume trucks, catering.